The Rev. John Boley, Clergy Assistant to Bishop David Bard, completes his examination of the many challenges and complexities of matching the pastors’ gifts with the needs of Michigan congregations. We are just a few days away from General Conference. It is heavy on everyone’s mind. But in the meantime, the Bishop and Appointive Cabinet are doing appointive work – because the Church of Jesus Christ goes on and even this General Conference cannot deter us from doing the work of the Church, and making Disciples of Jesus Christ for the Transformation of the World. Re-alignments. Once upon a time, almost every congregation or two-point charge had a full-time appointment that was capable of being served by an Elder in full connection. Things have changed drastically. For several years now, each new year brings more congregations or charges that are on the edge of not being able to provide pastoral support at their current level. And so District Superintendents are continually looking at what re-alignments can take place to support pastoral leadership and congregational ministry. Do we make a new two-point charge to support a full time pastor? Is it time for a merger, adoption or satellite ministry? Do we find part-time pastors to serve congregations that do not want to be yoked? Can a reasonable amount of Equitable Compensation change the calculation? These are huge decisions. They work best when there is plenty of communication. There are more analysis and emotional energy put into all of these decisions by the Appointive Cabinet than the church at large recognizes. Cooperative Ministries. In addition to examining re-alignments, the Cabinet is always hoping for more cooperative ministries among congregations. As the Cabinet looks at things from 25,000 feet, it makes perfect sense for congregations in close proximity to work together in ministry. Our Discipline invites all kinds of cooperative ministries and from a leadership standpoint, it is a no-brainer that congregations would/could/should work together. The reality on the ground is different. Most congregations have viewed themselves as relatively independent. They have not needed to work very closely with other congregations in shared ministries, except perhaps when they have shared a pastor. This makes appointive work more challenging. What can look like a great idea to the Cabinet may not be readily embraced by the congregations, and for the Bishop and District Superintendents to move too quickly or forcefully in forming cooperative ministries rarely leads to success. Clergy Health. It is a bit counter-intuitive and not well known, but true, that clergy health is below average. Some of it is age related as clergy are generally older. But much of it is related to high clergy stress. The reasons for this stress are many and are beyond the scope of this blog (maybe another time). But what that means for appointive work is that the Bishop and Cabinet are having to do more patch-work than ever. There is a constant need to find pulpit supply, or short-term appointments, to cover for clergy health issues. And too many appointments come to an end earlier than anticipated due to clergy health. Tethers. Once upon a time, clergy had few tethers and were available to be appointed anywhere in the Conference, and the spouse and family went along. Tethers – tying clergy to a particular location – are increasing every year. We are all well aware of these realities, often relating to the vocation of a spouse, a special-needs child, other family obligations, etc. Much of our appointive work surrounds doing our best to accommodate these tethers. Other bishops and superintendents have had different approaches to accommodating these tethers, and frankly, as we all know, there has been plenty of missional and institutional resistance to acknowledging tethers. But the current reality is that it is understood that clergy are happier and more productive if their tether is honored and accommodated to the best of the Cabinet’s ability. Now, more than ever before, tethers are not deemed to be a hindrance, but instead are understood to be part of the landscape. When these tethers are honored and accommodated to the extent possible, the Church of Jesus Christ is healthier. But from an appointive standpoint, it adds to the challenges. Consultation. Often, in connection with honoring tethers, there is an increasing practice of consultation over possible appointments, both before and after an appointment has been made. The power of appointment is still in the Bishop’s hands, and pastors are expected to honor itineracy. But just as with the reality of tethers, consultation is most important to do our best to obtain a proper match between congregation and pastor. This usually takes the form of realistically honoring clergy availability ahead of time, or taking seriously clergy or congregational reconsiderations as an appointment unfolds. Social Polarization. As our nation has become increasingly polarized, those same dynamics spill into the local congregation – although most congregations handle them better than our current political and civic world. But polarization increases the stress on clergy as tolerance diminishes. It makes it more critical that we have a good match. Most congregations are split in some fashion (as this General Conference is exacerbating). It places a higher focus on good pastoral leadership, but also diminishes the focus of congregations on other forms of ministry. Many clergy feel somewhat paralyzed in leading their congregations due to this societal polarization. 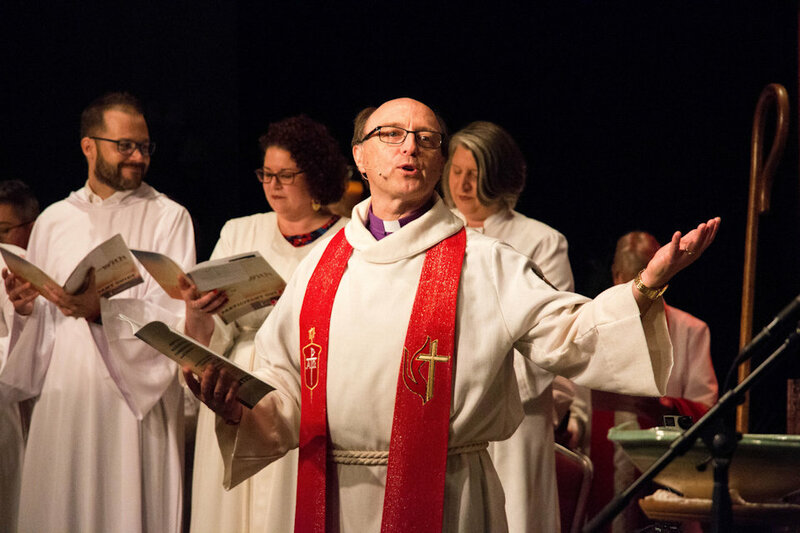 As I concluded in last month’s blog — despite all of these challenges — the Bishop and Cabinet do their very best to match the gifts and graces of pastors with the needs of congregations. The process is prayerful and deliberative. All things considered, it works remarkably well. And certainly better (from my vantage point) than congregational/call systems. Through it all, we trust in the power of the Holy Spirit to correct, guide and inspire. Thanks be to God.